in typical meagan fashion - i am behind on blogging. i have a ton of sessions in queue that i need to get on my blog, some that are DYING to be shared - and i am working to get caught up! first up is my wedding dress mini's. like 99.9% of my other mini's, i wanted to offer wedding dress mini's because i wanted to photograph my daughter in the set up. my husband and i were married after our son was born. he was our ring bearer! but now, my wedding gallery feels like it's missing someone - so I wanted to be able to have portraits of my daughter Mila that were cohesive with my wedding images. and hello, how precious are these girls wearing their mama's dresses? i went back and forth on what I wanted to offer prop wise, indoor/outdoor. ultimately, i decided less is more, and that i wanted to offer them outdoor. 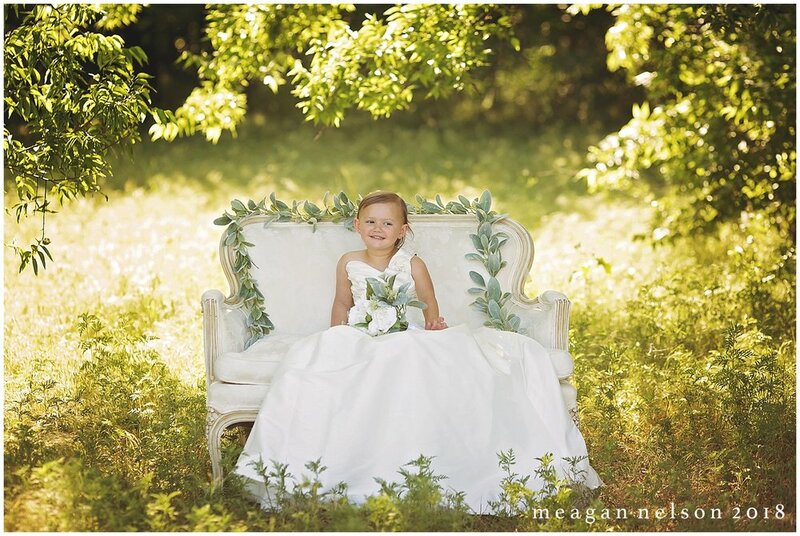 i rented the settee from a fellow photographer, and kept the florals organic as to not clash with anyone's colors, and brought several clamps for the back of the dresses. 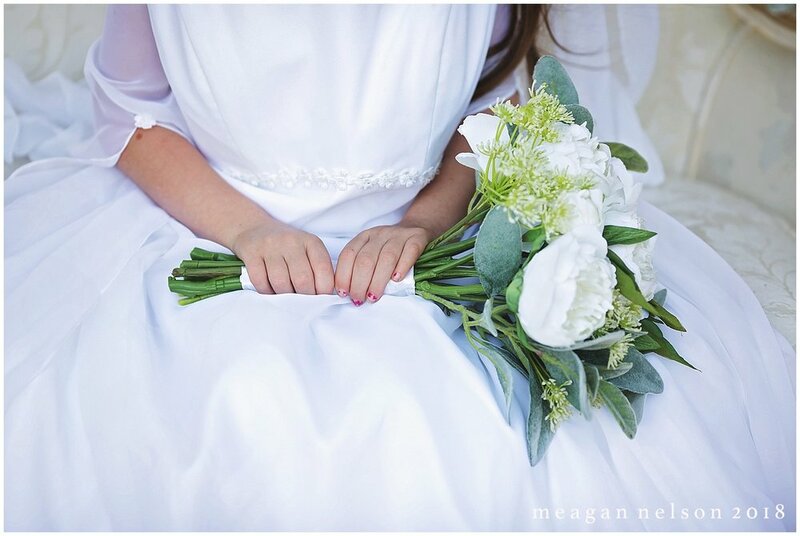 i love that so many of the girls brought unique items; their mommy's veils, jewelry, shoes, bridal portraits, custom bouquets. each session was truly unique. i kind of love the way they turned out. 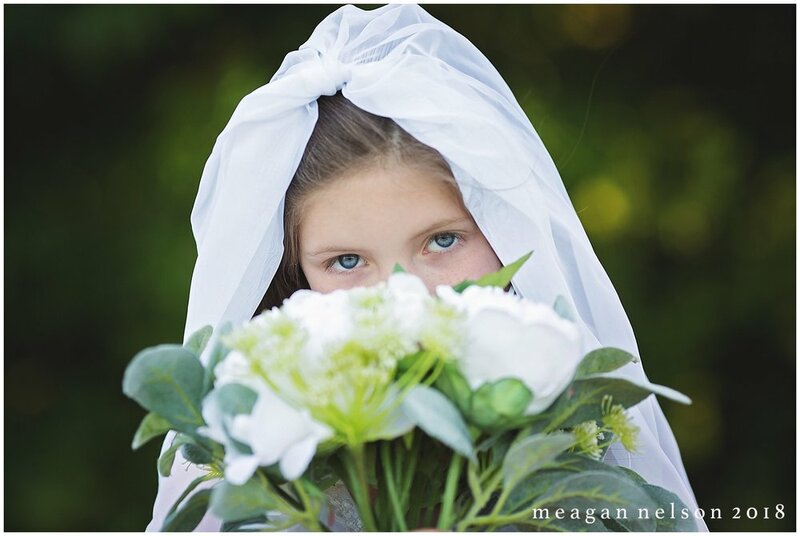 until recently, i was primarily a wedding photographer, so it was so fun to play dress up with "miniature brides". 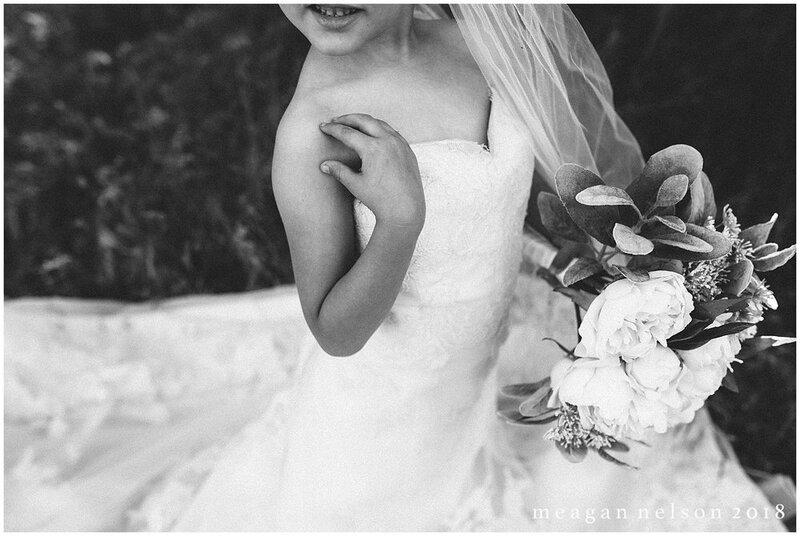 I posed these babies the same way I pose my brides, and they rocked it!